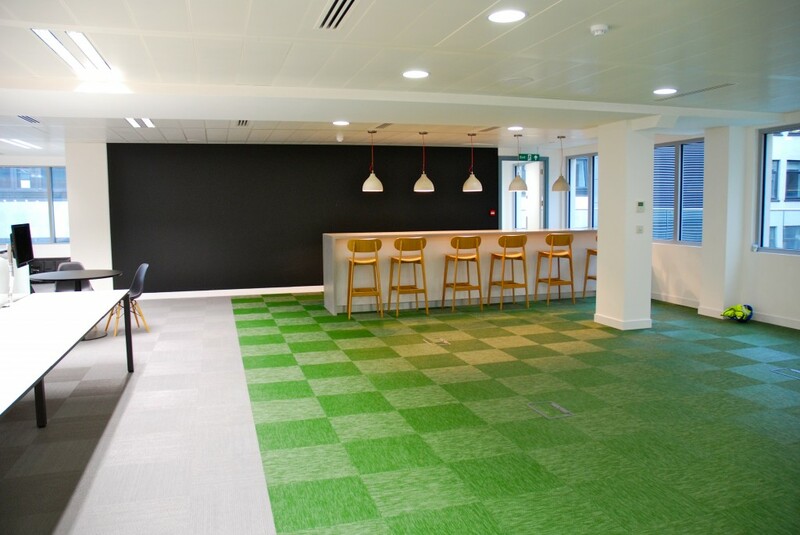 PDQ Contract Flooring carried out this installation using Bolon tiles to the main office areas with sheet to create a walkway around the central core as seen in the background of the above picture. Working with main contractor BW Interiors the project was delivered on time and transforms a mostly open plan office space to a vibrant working area. 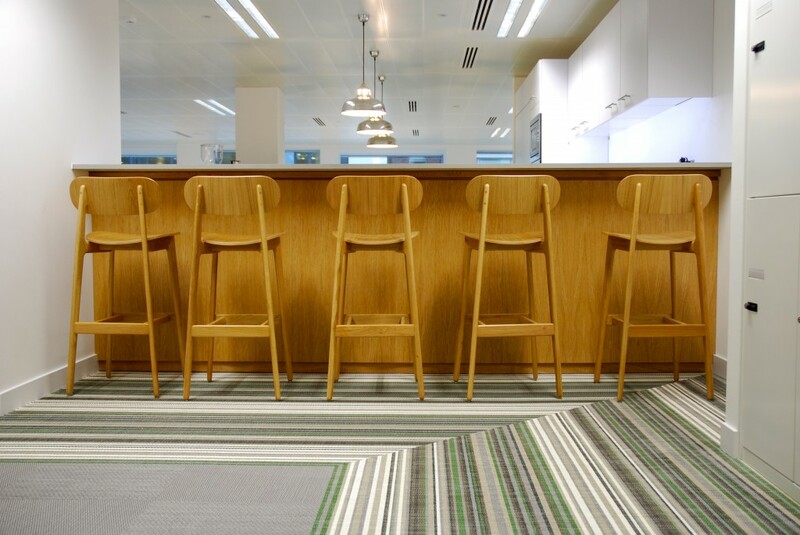 The tiles are laid ‘quarter turn’ to highlight the weave direction, however, these tiles can be laid ‘broadloom’ to completely change the appearance if required. 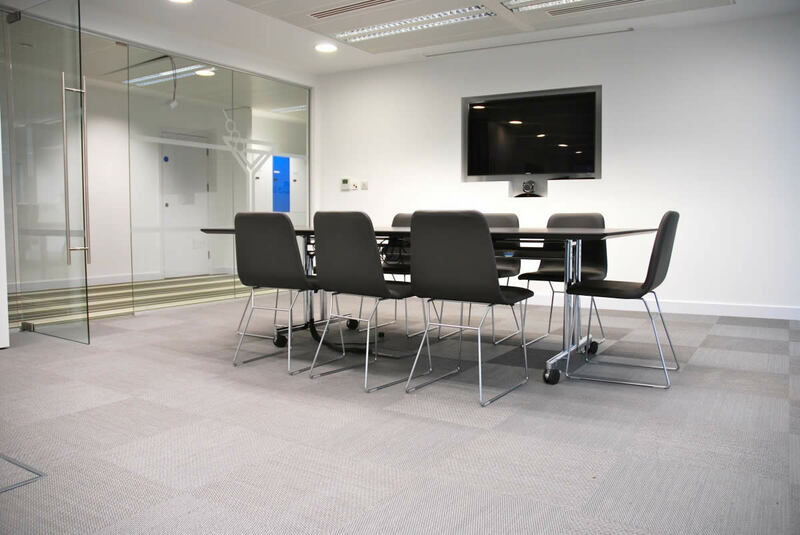 Bolon tiles were laid directly onto a raised access floor with a pressure sensitive tackifier adhesive, thus ensuring should access to the services be required at any point this can be done with ease and the tiles be re-fitted seamlessly. Botanic Ivy to breakout area. Botanic Ivy tiles have also been used to highlight a breakout area for staff to enjoy break times, again laid ‘quarter turn’. Mitred Walkway sheet in Bolon Botanic Pyrus.